It doesn’t take much for an old kitchen to look like new again. Sometimes a new sink, cabinets, or even taking out a wall creates an entirely new appearance. However, it takes experienced remodeling professionals to achieve the best results without higher costs. For fast, convenient, and affordable solutions for your kitchen, call Southern Home Renovations. We can create your best meal preparation space no matter what your current kitchen needs. Whether you’re tight on storage or need a new set of appliances, we are here for you. 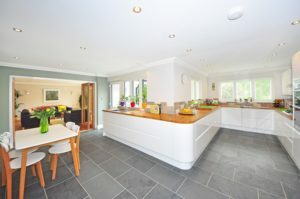 Whatever your kitchen needs to appear and operate at its best, our team has a solution for you. Stop living with a dysfunctional kitchen and let our experts help you! Many kitchens are built cheaply by the home builder. Original cabinets, stoves, and even flooring leave much room for improvement. The good news is that most kitchen upgrades aren’t too expensive. In fact, it’s one of the first rooms many homeowners focus on modernizing. Whether you just need a couple of items completed, a few fixtures swapped, or experience an entirely new kitchen; we can do it all for less! Whatever plans you may have, we can bring them to life! When you need to know that your kitchen is receiving the top care possible, you need us to make your remodel a reality. Call our company today and schedule your best remodeling services. Have the kitchen you deserve at pricing you can afford. Free quotes are available upon request.